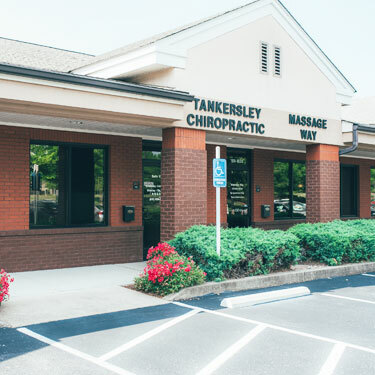 Since he began practicing in 1993, Dr. Craig Tankersley has been steadfastly committed to providing his patients with safe, natural and effective chiropractic care. After working for this chiropractor father for a period, he opened his first office in 1995. Then in 2005, he began Tankersley Chiropractic in Hendersonville, building it from the ground up. Through the power of a chiropractic adjustment, people of all ages can experience better health without having to resort to prescription or over-the-counter medications. Through his years in practice, Dr. Craig has become more in awe of the body’s ability to heal if given a chance. We see patients across the spectrum from a 2-week-old to a 92-year-old! If you’re new to chiropractic, you may think it’s just for back and neck pain. There’s no doubt about it that chiropractic is effective in relieving these. However, it can do so much more. Chiropractic can address issues like constipation, frequent urination and erectile dysfunction—conditions you wouldn’t think were related to your spine. Every day we are gratified to see patients achieve excellent results. One success story is of a woman who suffered from drop foot which means she was dragging her foot behind her. As she wasn’t able to get help elsewhere, she was planning to get surgery. The woman began care at our practice, and after 18-24 visits she recovered completely and was able to walk normally. Will your miracle story be next? Contact our chiropractic office today to book a same-day appointment! Walks-ins are welcome!